I like football players who are physical. I think the game demands that you play in that manner. Often, I see some of the bigger sized football players who are not physical or aggressive and it always disappoints me when I see that. Well, the guy I met with today is one of the most physically violent players I have seen in a while. 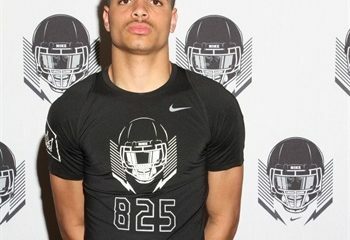 When I first saw his highlight film (see attached film link at bottom of article) I spent most of the time with my mouth to the floor as I watched him brutalize his opponents over and over on a level I haven’t seen too many times in the eastern side of our great state of Washington. Logan Kendall is a 6’ 3” 245lb. class of 2018 OLB/FB from Cheney High School in Cheney, WA. Logan was a First Team All-League selection on defense from the Great Northern League last year in his junior season. Logan also was named to both the offense and defense NWPR 2017 Preseason Top 5 Position Units for Eastern Washington lists. In the classroom, Logan excels at a high level also with a GPA of 3.7 and an SAT score of 1020 (two-part score). 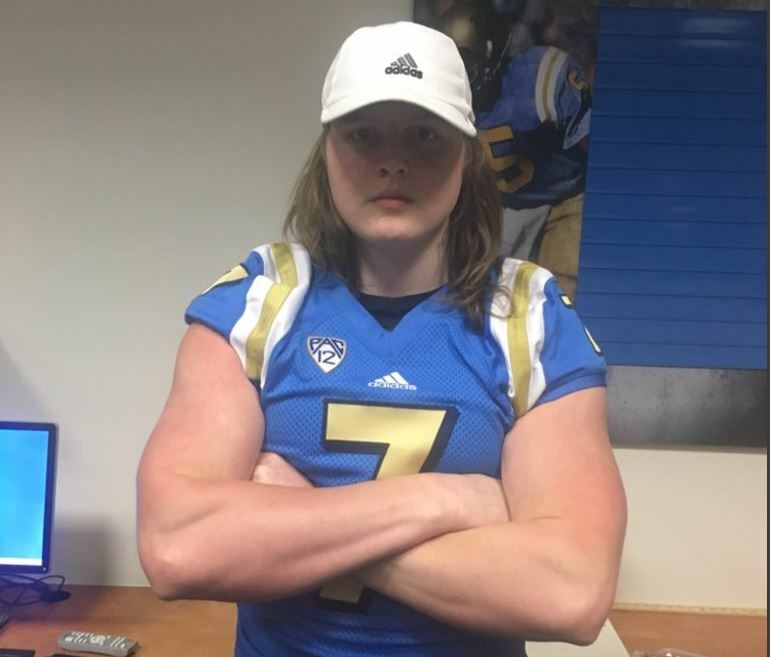 Logan has been rated as a 2-star recruit by Scout.com and this summer he earned his first scholarship offer from the University of Idaho while attending their football camp which he was named camp MVP. After the camp ended the Idaho Vandal coaching staff offered him a scholarship. I want to congratulate Logan for already receiving his first offer and seeing the payoff for his hard work, sacrifice, and dedication. I also want to give the University of Idaho coaching staff credit for pulling the trigger and offering a player who is close to their backyard. To play the game with the level of physicality that Logan plays with you must prepare your body. From the sources that I have spoken to all reports come back that Logan is an absolute stud in the weight room who has an amazing work ethic. Logan’s father Sean (who was a great football player himself who played fullback for Eastern Washington University) tells me that his son gets his outstanding work ethic from his mother. Good job mom of instilling that into your son. One of the best gifts a parent can give their child is a strong work ethic. I asked Logan what are his core beliefs about the weight room and offseason work and he said, “the football season is a direct result of what you do during the offseason.” That is very well said young man and I must say I think you are going to see all the great offseason work you have put in really pay off in many ways over the next 6 months. Logan recently recorded a max lift of 320 lbs. in the power clean lift, which really impresses me and indicates Logan has great explosion which is a requirement to be an elite football player. Logan also put up 225lbs on the bench press 17 times. Logan was recently timed in the 40-yard dash at 4.65 seconds by an NFL combine timer. Logan said he spent all offseason training at Rockwood Sports Performance Center under Tommy Boyer-Kendrick and playing for the FSP Elite 7 on 7 team (Ford Sports Performance). “My goal this offseason was to increase my mobility, flexibility, and speed and I really improved in all of those areas,” Logan said. With a 40-yard time of 4.65, at that size, I would say that his offseason training produced GREAT results. When I reviewed Logan’s junior season highlight film I see a player who loves to lead block as a hammer head type fullback or tight end. I see a player that can be a real weapon as a downfield threat in the passing game. Logan possesses very good athleticism and speed for a guy his size and has very soft reliable hands. 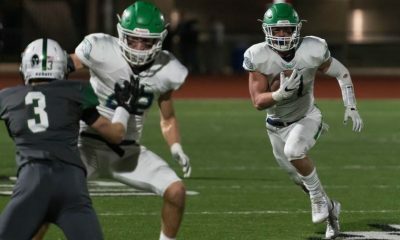 If you watch his hudl film you will no doubt be just as impressed as I was by the punishment he hands out repeatedly throughout the film but my favorite play is at the 3:57 mark of the film because the play shows what a high motor that Logan plays with as well. “High Motor Guys” to me have always been my favorite type of players. On the recruiting side of things, Logan, as I mentioned earlier, has already earned the scholarship offer from the University of Idaho but has also started to get some interest with some other Division 1 schools. Logan said, “I attended the Washington State University football camp and since then WSU has been communicating much more with me.” Eastern Washington University is also a school that Logan said has been communicating a lot with him. Most all Big Sky Conference schools are communicating with Logan at this point as well as the service academies of Air Force and Navy. The Ivy League schools are also in communication. 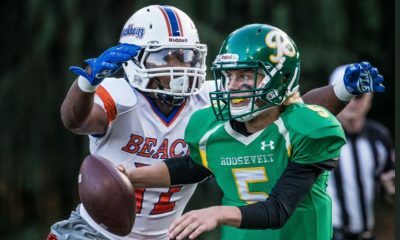 Logan indicates that these schools have said that they are recruiting him as an Athlete and that they like him on either side of the ball at this point. Logan said, “I attended the Washington State University football camp and since then WSU has been communicating much more with me.” Eastern Washington University is also a school that Logan said has been communicating a lot with him. Most all Big Sky Conference schools are communicating with Logan at this point as well as the service academies of Air Force and Navy. The Ivy League schools are also in communication. Logan indicates that these schools have said that they are recruiting him as an Athlete and that they like him on either side of the ball at this point. Eastern Washington University is also a school that Logan said has been communicating a lot with him. Most all Big Sky Conference schools are communicating with Logan at this point as well as the service academies of Air Force and Navy. The Ivy League schools are also in communication. Logan indicates that these schools have said that they are recruiting him as an Athlete and that they like him on either side of the ball at this point. There have been some great players who have come from Cheney High School over the years. The best player to ever come out of Cheney o, of course, someone we all remember, Steve Emtman, who played on the national champion Washington Huskies teams in the early 1990’s and was the #1 overall selection in the 1992 NFL Draft. Logan is so correct. It really doesn’t matter the size of the high school or the size of the city you are from, if you are great then you are great and you can make it in whatever avenue you are pursuing. That answer really impressed me because I am not so sure how important leadership is to most 17-year old’s. I have always thought the best scenario is when your best players are your best leaders as well and in a lot of cases on many teams that is not always the situation. So, you are seeing the complete package in Logan Kendall. He is a physically gifted athlete, a great student, a hard worker, a really respectful and polite person and someone who puts a premium on being a good leader. What more can you ask for? I think that halfway through this upcoming senior season we will see Logan secure even more scholarship offers and I think he has the size, speed, aggression, and physicality to play at the elite Division 1 FBS level. We wish all the best to Logan and the Kendall family as they get ready for this final high school season of his.